Note: Rest up to 3:00 between rounds. Mens prescribed weight is 135lb. and women’s weight is 85lb. Your score is the total number of Bench Press repetitions achieved over four rounds. The goal is 100 or more repetitions. This workout is back by popular demand! 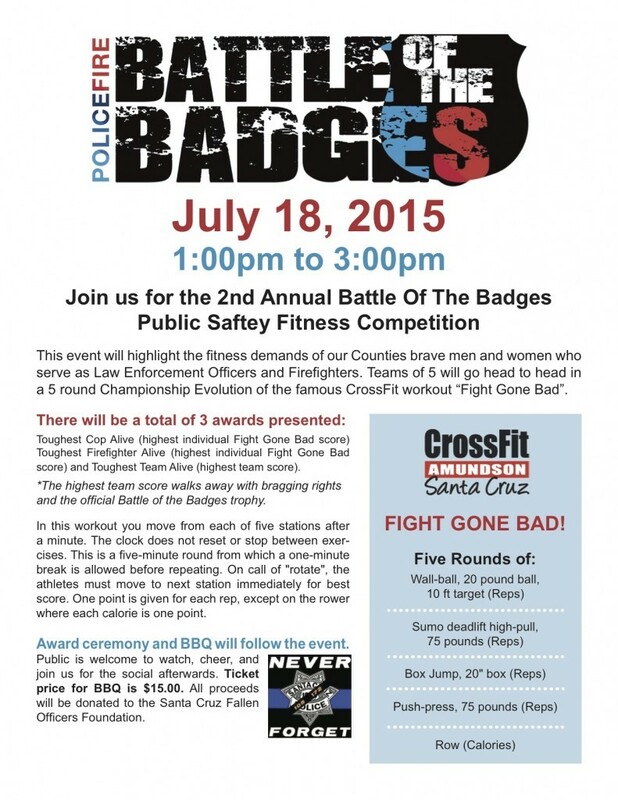 2015 Battle Of The Badges!